Noise has announced the Noise ColorFit Pro fitness band, today, in India. Unlike other fitness bands that come in a band-like design, the Noise ColorFit Pro has a square watch-like design, with thick bezels on all the sides. The Noise ColorFit Pro features a 1.22-inch Colored LCD which uses Corning’s Gorilla Glass 5 for protection against scratches and cracks. The screen has a resolution of 240×240 pixels. Users can track Heart Rate, measure the blood pressure as well monitor the SpO2 levels in your blood using the fitness band. It can also track your sleep and store up to 7-days of your sleep data on the watch. 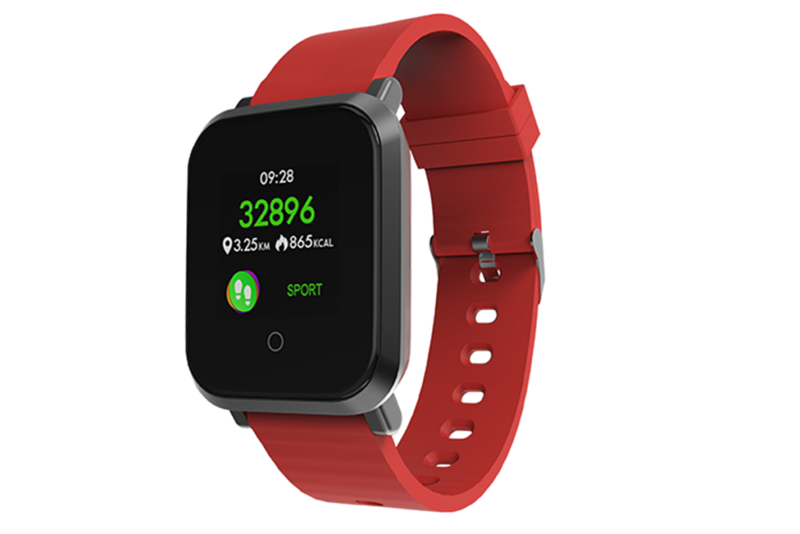 The fitness band comes with sports training mode which can track daily sports and fitness activities such as walking, running, cycling, badminton, football, skipping and basketball. The built-in Pedometer tracks the steps taken; distance traveled as well as calories burnt. Apart from this the ColorFit Pro also allows users to play/pause songs without needing to take your phone out. It also acts a remote shutter letting users click photos on their smartphones. 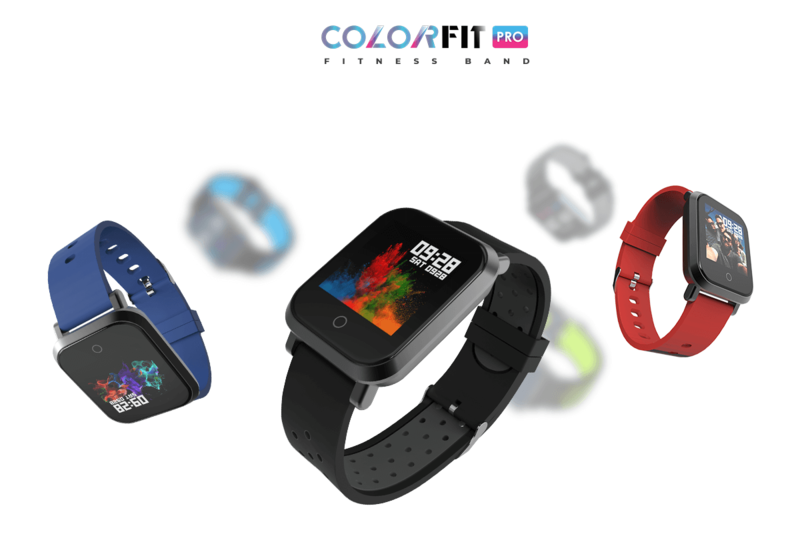 The ColorFit Pro connects to your smartphone via Bluetooth 4.1 and uses DaFit App to sync your activity data to your phone. 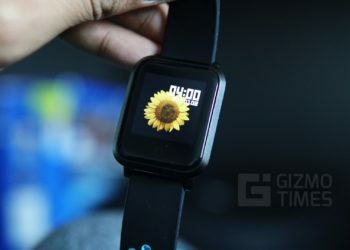 The watch is said to be compatible with phones running on Android 4.4 or above and iOS 9.0 or above. The DaFit app also lets you change the watch faces, find your smartphone from the watch, control your smartphone camera remotely, as mentioned above. The ColorFit pro can also display your phone calls, message and social media notifications such as WhatsApp, Facebook, Twitter, Skype, and various others on your wrist with other reminders directly on your wrist. The fitness band is IP68 waterproof up to 1.5 meters of depth for half an hour, allowing you to take it for swimming without any worries of water damaging it. The Watch casing is made out of Zinc-Magnesium alloy that has a thickness of 9.9 mm. The watch comes with interchangeable silicone straps, as well. The ColorFit Pro is said to last up to 3 days with heavy usage, while on standby the watch lasts up to 12 days. 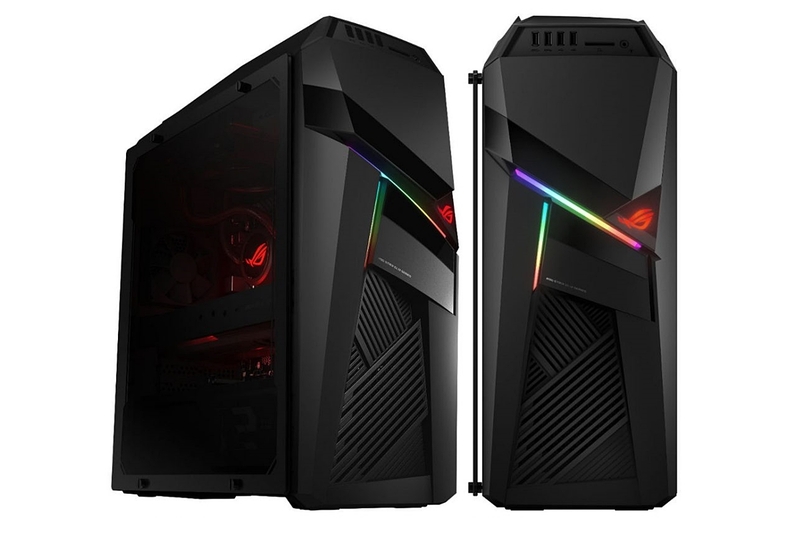 The Noise ColorFit Pro comes in Black, Blue and Red colors. The fitness band goes for INR 2,999 and is available on Amazon India, gonoise.com, Flipkart India, Myntra and other leading retailers.